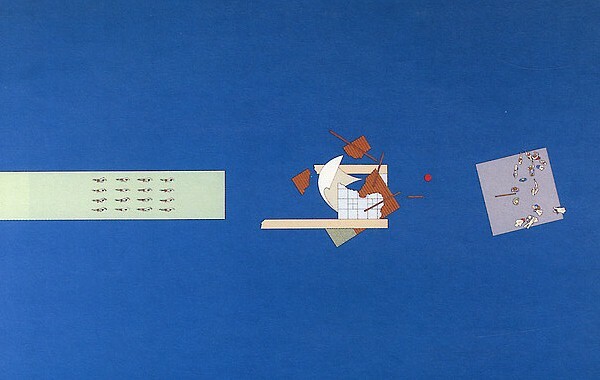 Peter Eisenman, et al, Oppositions 23 (Cambridge, MA: The MIT Press, 1981). Le Corbusier and the Mystique of the U.S.S.R.
Pierluigi Nicolin, 28 Lotus International (Milan: Gruppo Editoriale Electa, 1981). Pierluigi Nicolin, 30 Lotus International (Milan: Gruppo Editoriale Electa, 1981). Civic art or applied sociology? Pierluigi Nicolin, 31 Lotus International (Milan: Gruppo Editoriale Electa, 1981). Pierluigi Nicolin, 32 Lotus International (Milan: Gruppo Editoriale Electa, 1981). 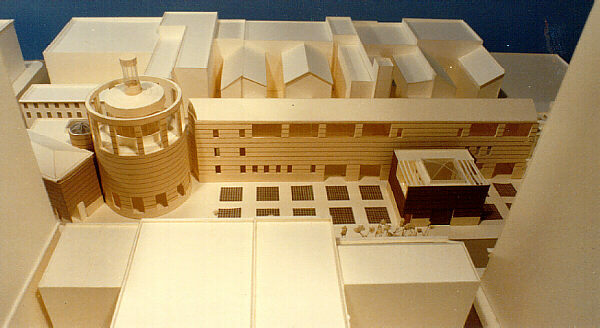 Stephen Lauf, Institute of Contemporary Art (Philadelphia: Thesis project, 1981.05.01). Rem Koolhaas, Swimmer (painting, 1981.09.15). On 15 September 1981 Koolhaas painted swimmer, depicting the clash between the Floating Swimming Pool and the raft of the Medusa. Unlike the finale of the Story of 1976 in which one penetrates the other, in this case they are both wrecked--another metaphor of changes happening at OMA. 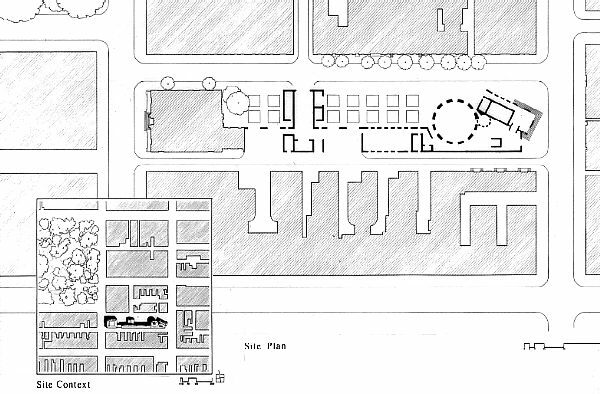 Roberto Gargiani, Rem Koolhaas / OMA: The Construction of Merveilles (Oxford, UK: 2008), p. 89. 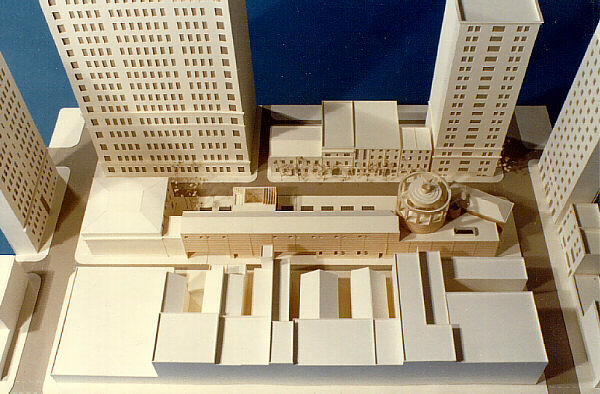 Site, Highrise of Houses (1981). See 'houses under a common roof'.